Fluoride is a by-product of aluminum, copper and iron manufacturing. This chemical product is still being routinely added to drinking water in North America. The original purpose for existence of fluoride in drinking water was to reduce the issue of tooth decay in children. However, most of the Western European countries have already banned the addition of fluoride to drinking water, because of the real and measurable health risks it introduced. More and more studies and research clearly point to the fact that fluoride is bad for your health. In fact, this substance is classified as a drug in the United States, so having fluoride in drinking water is like administering it to the mass population without their knowledge or approval. Studies have shown that fluoride does not improve the quality of the drinking water, and in fact, it may actually interfere with normal biochemical processes. While it may (in theory) help in preserving tooth decay, by ingesting fluoride daily it will gradually accumulate in the body and start causing health issues. There is no scientific evidence that fluoride is directly responsible for the drop in the level of tooth decay. Dental health has been, in general, improving with time and there is a lot more information available about brushing, flossing and regular visits to the dentist. At the same time, if you choose to reduce or completely stop ingesting fluoride, your body will not become sick nor will you experience any discomfort or deficiency because of that. The real danger is that there is no accurate way to estimate how much fluoride each person ingests daily. In addition to the fluoride we take in by drinking water from the tap, most of the bottled water and other drink products like soda, juices and milk contain great quantities of fluoride as well! Add to that the fluoride that is embedded in the food and all of a sudden the dosages of fluoride we can potentially ingest are staggering! Several lab studies using rats as subjects, concluded that ingestion of fluoride increases the brain's capacity to absorb aluminum, which is then associated with an increased incidence of Alzheimer's disease. Fluoride is directly implicated in health issues related to limited joint mobility, ligament calcification, muscular degeneration and neurological deficits. It is implicated in as many as ten thousand cancer deaths annually. It is becoming alarmingly obvious that this forced addition of fluoride to drinking water is long past any usefulness that might have been promoted in the 1920s when the campaign in favor of its use begun. Fluoridation was established not through public consultation at all, but through enforcing executive actions by various government bodies. 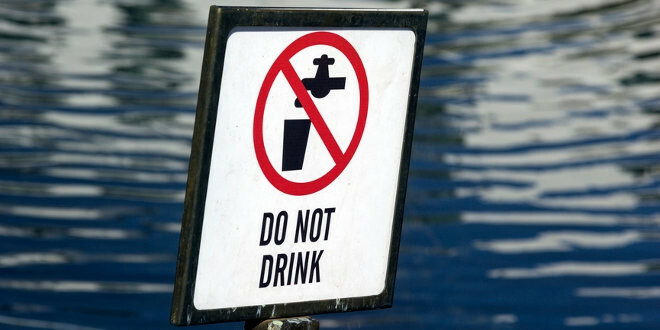 Many communities and cities in North America have either completely banned fluoride in drinking water or are in the process of doing just that. If you are concerned about this issue, make sure to contact your government representatives at all levels and lobby for the complete removal of fluoridation process in your community. Check food labeling on any items you buy (food and drinks) and use only products that do not contain fluoride.